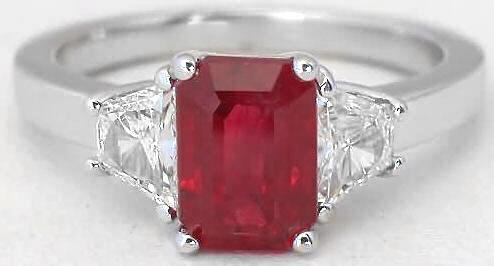 Now offering Ruby and Emerald Rings! Our slogan says it all - Set yourself apart. We are a small family owned and family run company whose mission is to make the finest jewelry possible using only the finest diamonds and gemstones. As a company, we strive every day to set ourselves apart from other jewelry stores in every important way. We offer superior quality, superior service, superior selection and superior prices than our competitors. 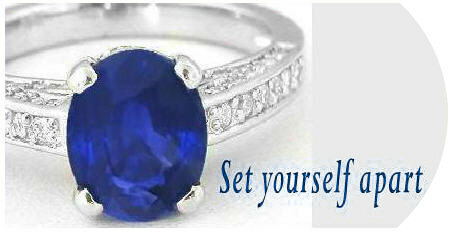 Nearly each and every sapphire is hand picked for the ring, pendant, bracelet or earrings we have made. We meticulously sort through and reject hundreds and hundreds of carats of stones while searching for the very few, exceptional stones that will become a special part of our jewelry. 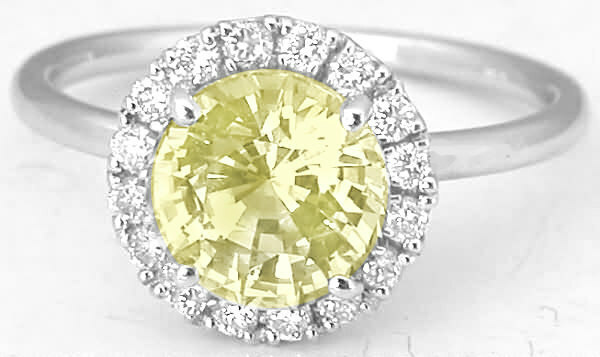 We look for incredible color, amazing clarity, eye-catching brilliance, great cutting, to name a few. 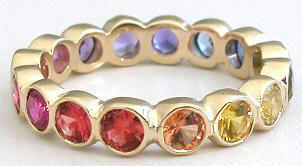 Our gemstones are vibrant and well-cut and in nearly every case are free of visible inclusions. 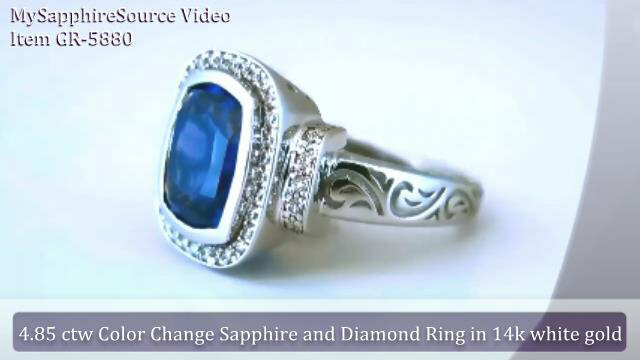 So when you select a gemstone from MySapphireSource, you can be assured that you are purchasing one of the finest sapphires available. 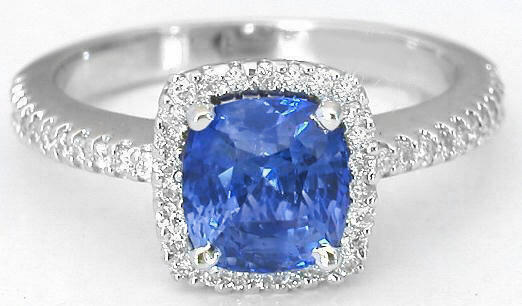 We do not use any synthetic or lab created sapphires or diamonds in our fine jewelry. Our settings are not only unique but also designed and specifically manufactured to last a lifetime. We know how important your purchase is and we understand how much it means to you. Our motto is Set yourself apart and being true to that, our rings are not mass-produced. And in fact, in most cases are one or two of the kind. Our jewelry is made by expert craftsmen whose workmanship is impeccable, and each piece is carefully inspected against our rigorous quality standards. The shanks of our rings vary in width but have a certain thickness that you don't find very often. We use more gold or platinum in our rings than you would typically find, and what this specifically means to you is that our rings feel more luxurious and substantial on your finger, and they will last longer, wear better and easily hold up to daily wear and tear. For those of you looking for an engagement ring or signature piece, we know that this is exactly what you would expect and demand for such an important piece. 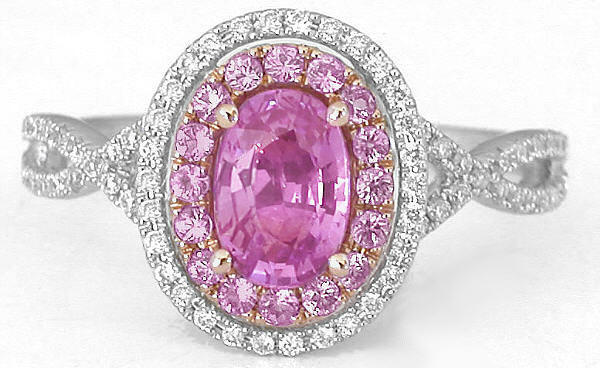 Our diamonds are of much better quality than are used by most internet and retail jewelers. Our goal is to set ourselves apart from our competitors in every important way and the diamonds that we use are no exception. Our diamonds are white, bright, clear, and have no visible inclusions. 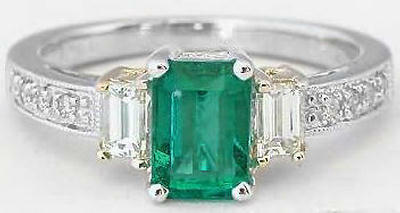 We only use well cut, fully faceted diamonds and never use diamond chips.